Everyone thinks they know what “branding” is, but do they really? It’s not just a cute logo or cool emblem design. It’s not even a specific product or service. Your Brand is your unique, recognizable identity. It is Who You Are to your customer–as a business or a company–even as an individual. To be successful in today’s world of hyper-fast, super-competitive online marketing, building a unique identity for your business is critical. By “Trademarking” the online perception of your company, your business, your product or service – even yourself, you shape your prospect’s expectations. By tailoring the benefits of doing business with you to those expectations, you begin to build your brand. You become the company that delivers what your customer needs, and this becomes invaluable over time as this relationship matures. This is especially important for small businesses or independent entrepreneurs, because it leads to word-of-mouth advertising. Sharing the “hot new thing” is fun for everyone. By establishing an easily recognizable identity, you make this sharing simpler for your customer. This leads to more word-of-mouth, which leads to more word-of-mouth, which leads to…you get the picture. Constructing a particular image, or brand identification, for a given product or service can be very difficult – and expensive – while creating an identity for your company or business can be much simpler and cost effective. You see, the most effective branding is developed over time, such that every time your prospect or customer receives an impression of your business that impression is consistent. The message you construct, whether on your website or blog, should reflect your brand at all times. Your quality of service, your excellent manufacturing standards, your devotion to ethical business practices, will all contribute to the building of your brand. The identity you choose to promote with your online content, regardless of its quality, will be the identity you receive, so it must be consistent and positive. Constructing your online identity, or building your brand, takes time and consistent effort. The payoff however, can be gold. 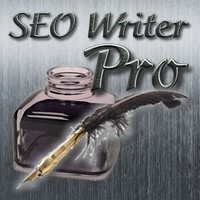 This entry was posted in Online Marketing Tips, Writers and tagged affordable seo writer, blog content, blog content writer, blog writing, content, web content, writing services. Bookmark the permalink.